I call it my Mardigras inspired piece. 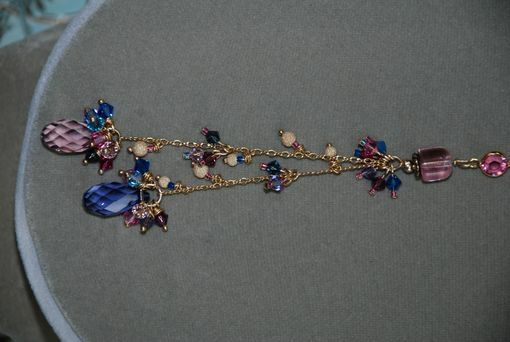 Fun vibrant jewel tones, gold beaded sparkle, and crystals galore! 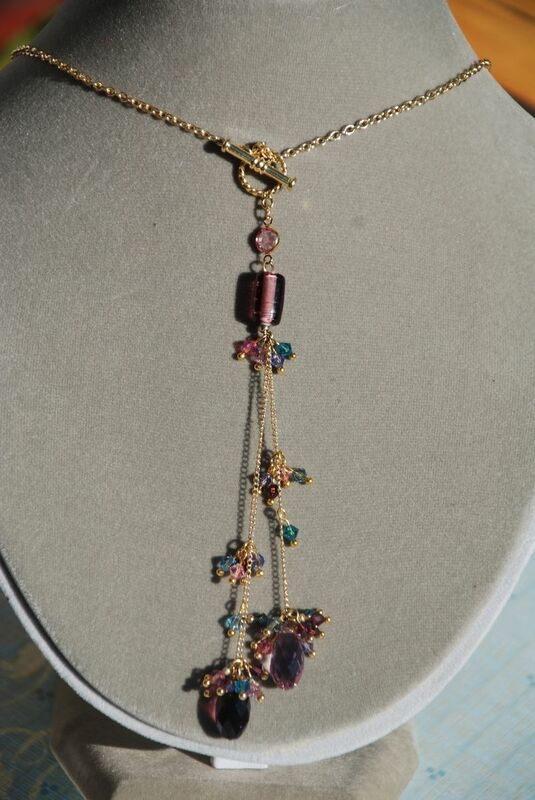 All stones are hand wire wrapped onto a 14k gold filled chain which hangs approx 20" or whatever length you desire.